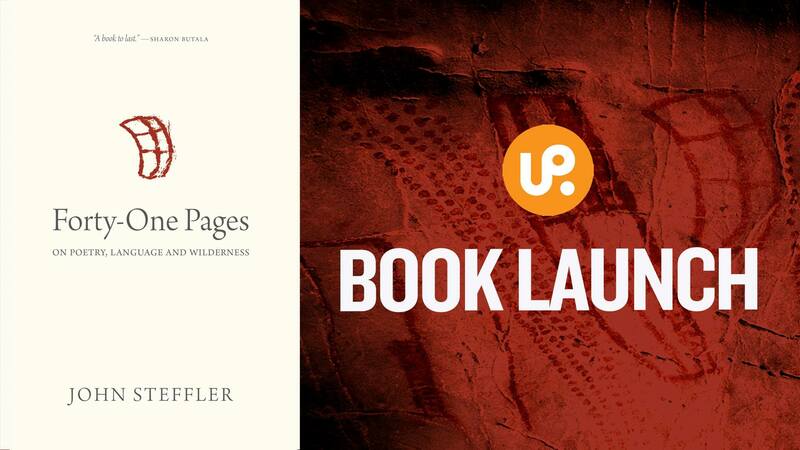 Join John Steffler for a reading and discussion of his new work 'Forty-One Pages: On Poetry, Language, and Wilderness'. 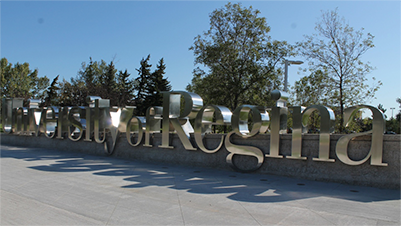 The event is open to the public, and free admission. There will be books available for purchase, and light refreshments will be served. John's previous poetry collection, 'Lookout', was shortlisted for the 2011 Griffin Poetry Prize, and he was the Parliamentary Poet Laureate of Canada from 2006 to 2008. 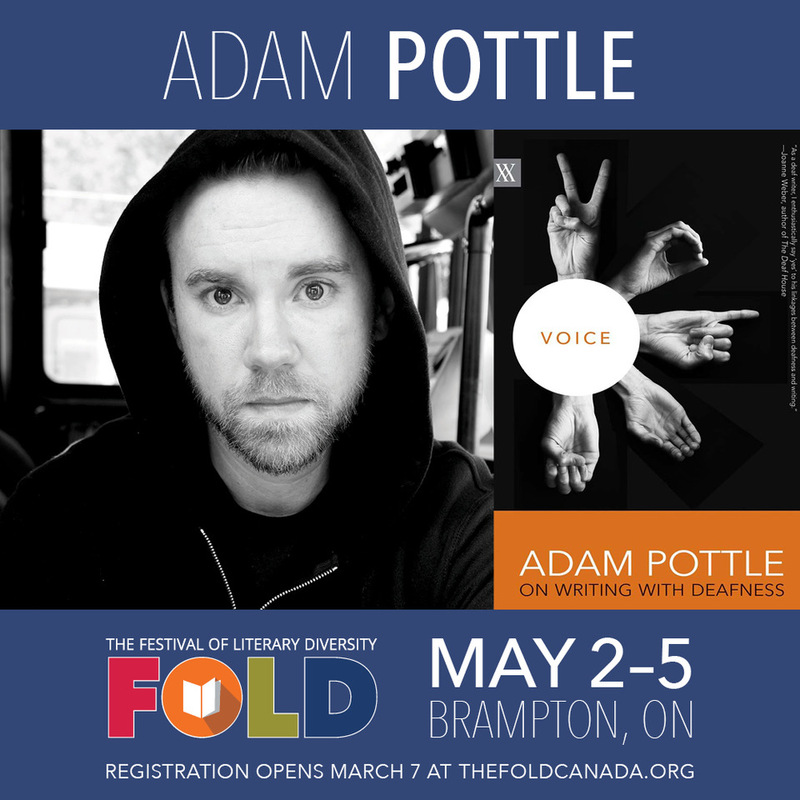 Adam Pottle Introduced to FOLD 2019! 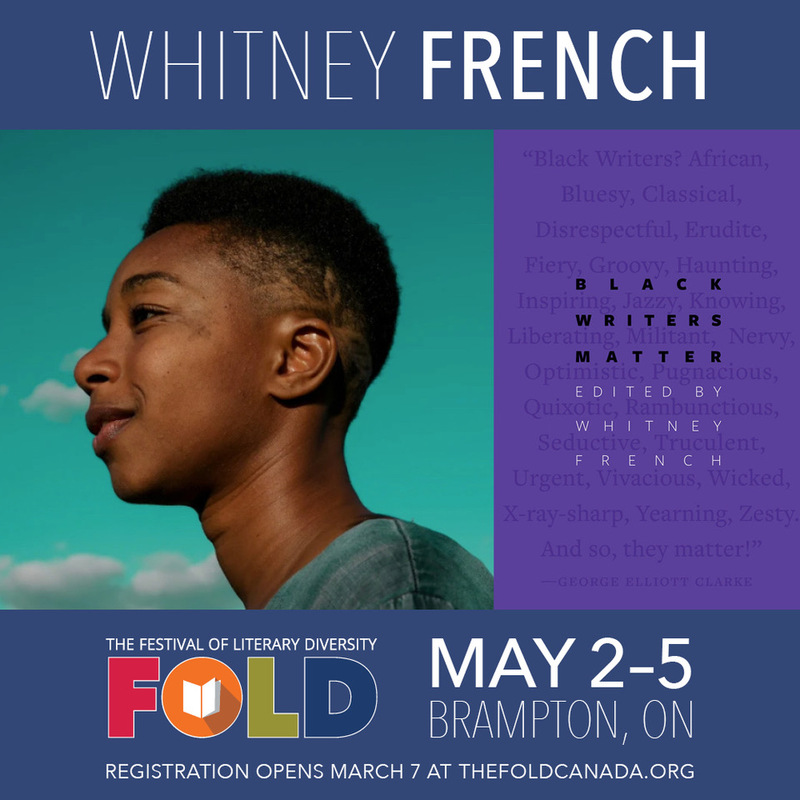 Whitney French introduced to FOLD 2019! 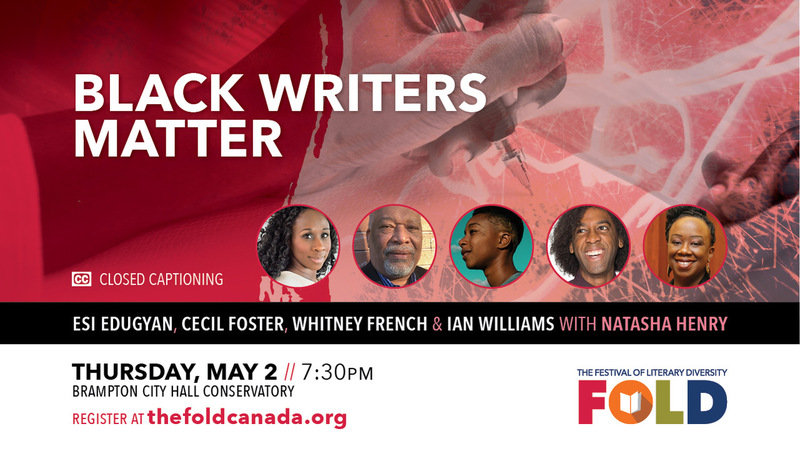 Register at www.thefoldcanada.org to hear Whitey French speak at various panels throughout the Festival of Literary Diversity! Newly released is BLACK WRITERS MATTER edited by Whitney herself. The founder and co-editor of From the Root Zine, Whitney French has been published in the Descant Magazine, anthologized in The Great Black North: Contemporary African Canadian Poetry, and is the host and facilitator of the Writing While Black creative writing studio. Whitney lives in Toronto. 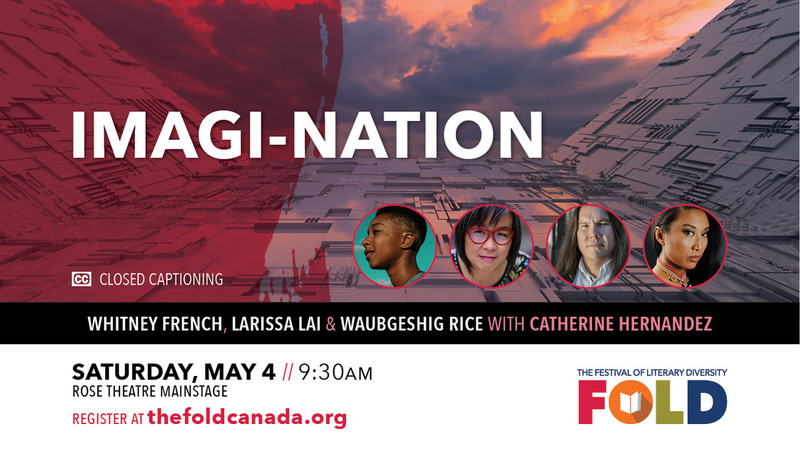 Register at www.thefoldcanada.org to hear these powerful voices! 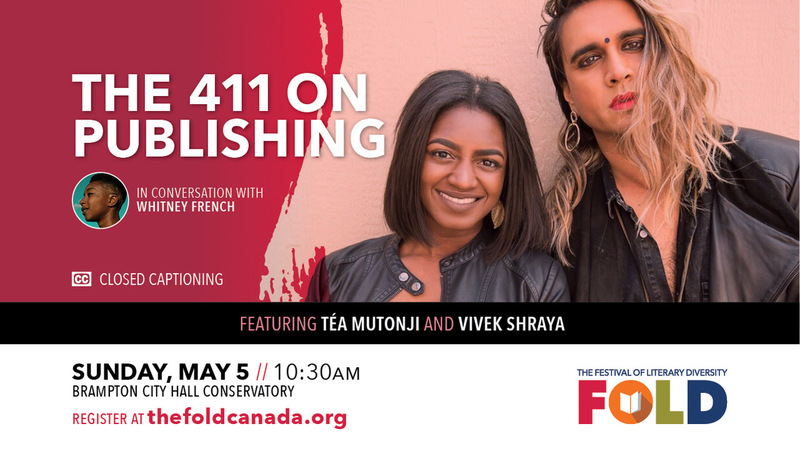 Tea Mutonji and Vivek Shraya are having conversations with Whitney French on the ins and outs of publishing. In this panel, you will hear dialogue on the great effort put into making fine books come to life. 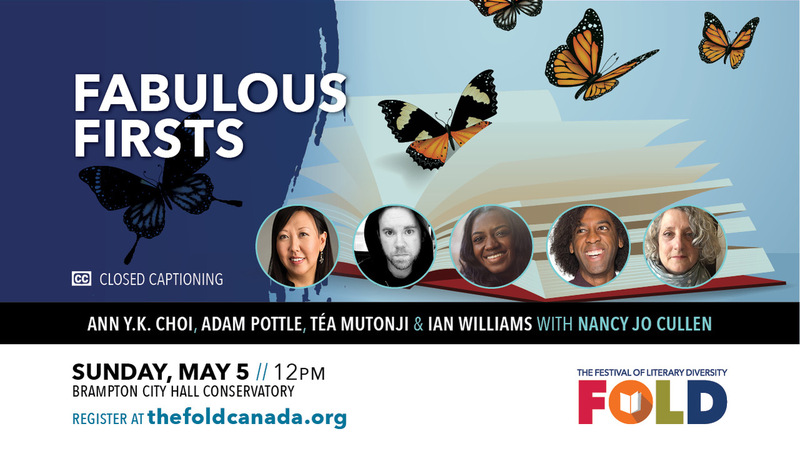 Register at www.thefoldcanada.org to sit in on this sophisticated event. 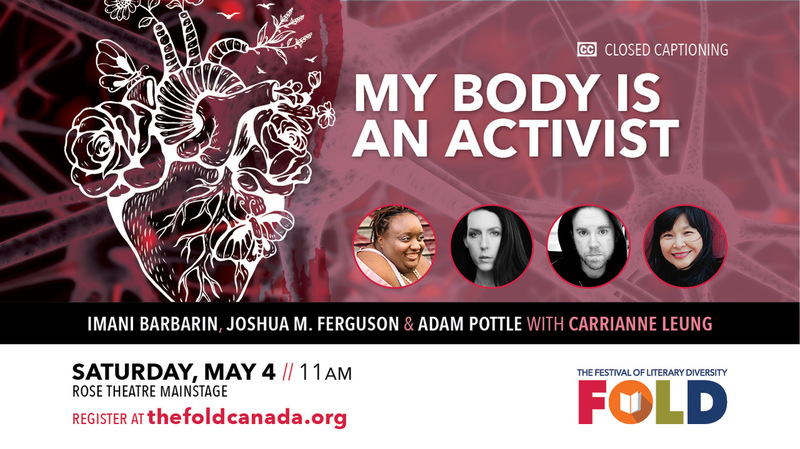 Join Adam Pottle, Ann Y.K. Choi, Tea Mutonji, and Ian Williamsn with Nancy Jo Cullen at the Brampton City Hall Conservatory for the "Fabulous Firsts" panel. 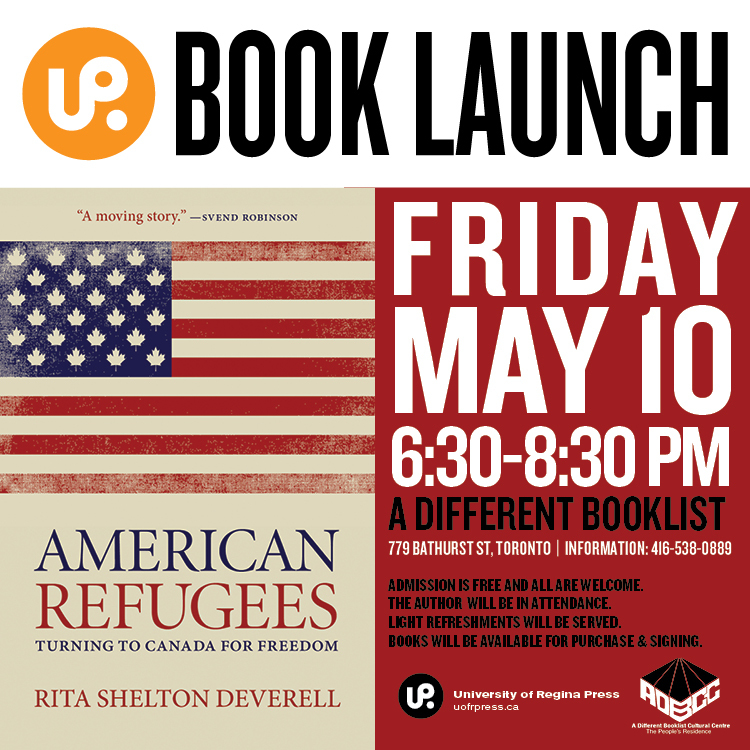 Join U.S.-born author, Rita Shelton Deverell, at A Different Booklist for the release of her latest memoir, AMERICAN REFUGEES: TURNING TO CANADA FOR FREEDOM. Rita will read excerpts of her work be made available for a answering questions and signing copies. Books will be available fore purchase. Admission is Free and everyone is welcome to attend! When it became clear that Donald Trump would become the new US president on election night in 2016, the website for Citizenship and Immigration Canada crashed. It was overwhelmed by Americans afraid that the United States would once again enter a period of intolerance and military aggression. In American Refugees, Rita Deverell shows that from the Revolutionary War to the Underground Railroad through to McCarthyism and Vietnam, Americans have fled to Canada in times of crisis. Many still flee. All have sought better lives, while helping to shape Canada into the country it is today. 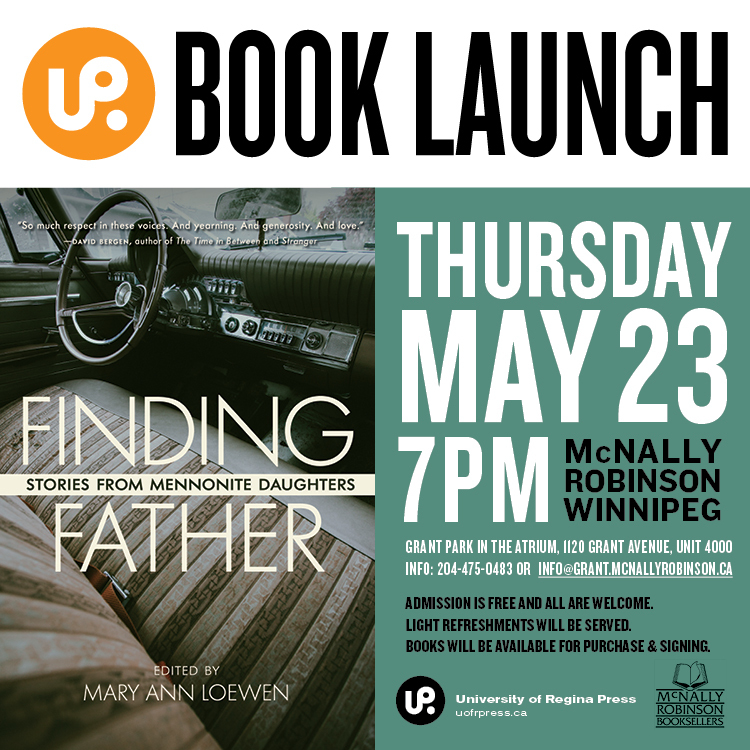 Join others at Grant Park in the Atrium for the launch of FINDING FATHER: STORIES FROM MENNONITE DAUGHTERS edited by Mary Ann Loewen. Admission is Free and all are welcomed to attend. Finding Father is a collection of stories about Mennonite fathers by their daughters. Written by well-known and first-time writers, these stories illuminate the often close and sometimes troubling relationships that exist between one of humanity’s most precious bonds. From battles over relationships and sexuality, to debates over chores and church, these stories also hold the shared intimacies of driving side by side with dad, laughing, and headed down the road.